A parolee was arrested yesterday morning after he reportedly was seen throwing a bag from his motorcycle. 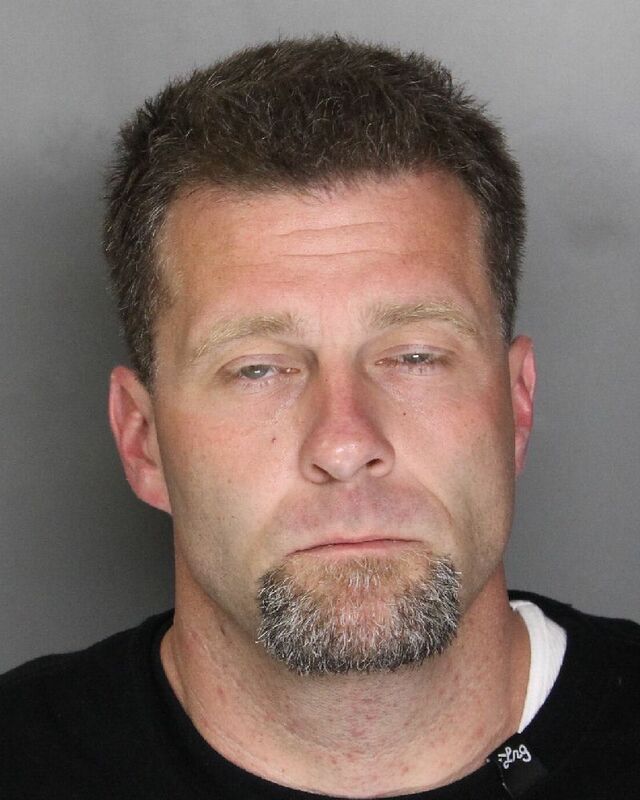 Elk Grove Police stopped 38-year old Christopher Michael Spray (pictured above) of Sacramento on the 9600 block of East Stockton Boulevard for a vehicle code violation. Before he was stopped, officers reportedly saw Spray toss a bag into a nearby alley. After detaining Spray, a records search revealed he was on parole and driving on a suspended driver's license. Officer recovered the discarded bag and found a controlled substance. Spray is being held at the county jail on a parole hold and is not eligible for release. He will be arraigned on two misdemeanor charges Friday afternoon.